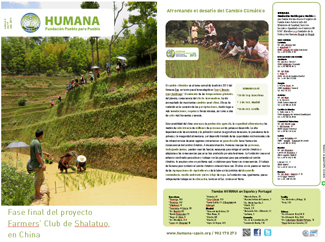 You can download the new edition of the Humana Newsletter, with the most important news about textile recycling, social aid, development cooperation projects, second hand stores and sustainable and solidarity fashion. Humana is accredited by the Agencia de Residuos de Cataluña. Modernization of Leganés sorting plant. 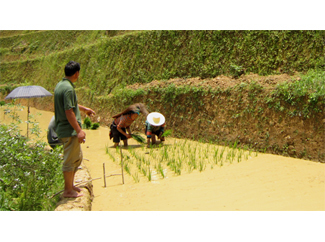 Agriculture Project in China: agricultural development comes from their own hands. Productivity, diversification and marketing in the local market is key to small farmers in Mozambique. Social Farming Projects selected in 2013. The second hand store network continues to grow. Humana Day 2013: Facing the challenge of climate change.